We are currently in the midst of the Octave of Christian Unity. 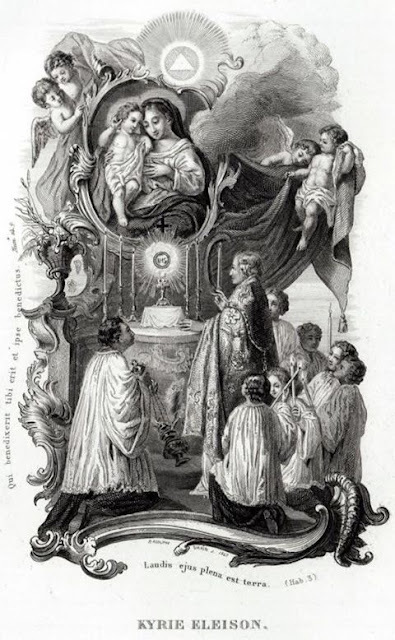 Even if you have not been praying for these intentions since the Octave started on January 18th, I encourage you to check out my post from the prior years on this important and special Octave by clicking here. 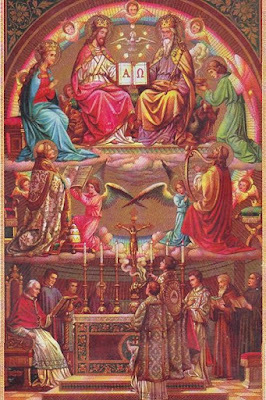 A plenary indulgence on the usual conditions at the end of the octave of prayers for the unity of the Church from the Feast of the Chair of Saint Peter in Rome (Jan. 18) to the Feast of the Conversion of Saint Paul (Jan. 25). (Apostolic Brief, Feb. 25, 1916; S. P. Ap., Nov. 15, 1927 and Dec. 10, 1946). The following is taken from EWTN. I would encourage our readers to not only pray for the Bishop in his misguided efforts but to contact the Ecclesia Dei Commission in Rome. Simply put, what the Bishop is attempting to "forbid" and "require" is illegal and contrary to the law of the Church. As such, it is no law at all. 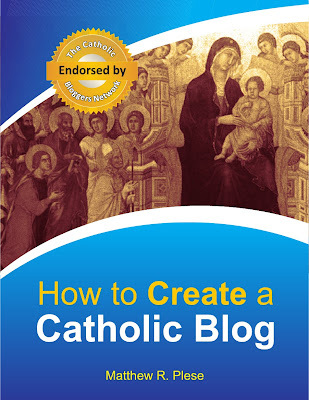 Of course this move, which runs contrary to the liturgical tradition of the Roman Rite, contrary to the recent recommendations of Cardinal Sarah (prefect of the Congregation for Divine Worship), and contrary to the GIRM itself, is the heavy handed modernist tactics of the Seventies and Eighties revisited. The Bishop of Rockford wrote “with due regard to Art. 2” and then he completely ignored it and wrote something that precisely contradicted it. According to Art. 2, priests of that diocese – or any other diocese in the world for that matter – do not need his permission. So now, for the faithful of Rockford, they are being returned to a time in the Church when self-loathing Catholicism ruled the day. Back to the days when one need look no further than the chancery to find anti-Catholicism; for that’s what any attack against our liturgical heritage is. Against our past. Against tradition. It’s anti-Catholicism. In the Diocese of Rockford, Illinois it would seem that the groovy Seventies have indeed returned; at least liturgically. 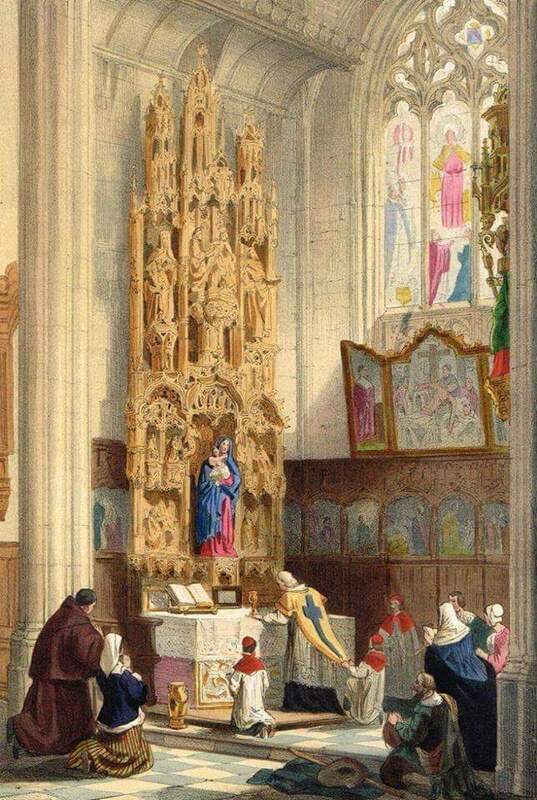 Those who oppose our Catholic tradition, who oppose the Latin Mass, and who (apparently) believe that mercy and accompaniment do not apply to traditionalists, are feeling quite emboldened these days. It’s going to get worse before it gets better. Trust me. Upon your inauguration as the forty-fifth President of the United States of America, I offer you my cordial good wishes and the assurance of my prayers that Almighty God will grant you wisdom and strength in the exercise of your high office. At a time when our human family is beset by grave humanitarian crises demanding farsighted and united political responses, I pray that your decisions will be guided by the rich spiritual and ethical values that have shaped the history of the American people and your nation's commitment to the advancement of human dignity and freedom worldwide. Under your leadership, may America's stature continue to be measured above all by its concern for the poor, the outcast and those in need who, like Lazarus, stand before our door. With these sentiments, I ask the Lord to grant you and your family, and all the beloved American people, his blessings of peace, concord and every material and spiritual prosperity. Let us join in praying for President Trump to exercise the Office of the President of the United States to be a true instrument of God's will - ending an era of abortion on demand, oppression of workers, proliferation of injustice and debauchery. Lord have mercy on our nation. Besides being the Feast of Sts. Marius, Martha, Audifax, and Abachum, January 19th is the Feast of St. Canute. St. Canute is commemorated in the Liturgy today. He was the martyred King of Denmark who was slain while in prayer at the foot of the altar. 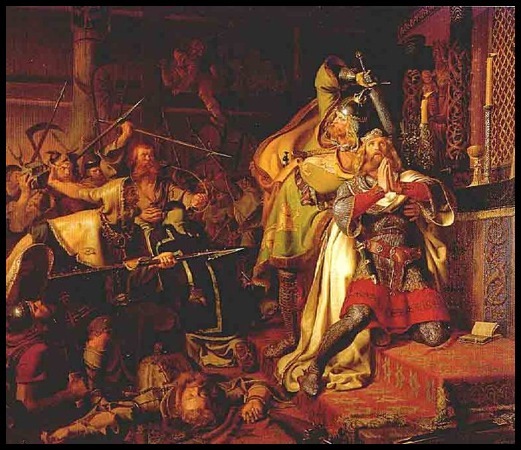 St. Canute succeeded his brother Harald III Hen in 1081. He built many churches and monasteries during his reign. In 1085, after planning an invasion of England, the nobles rebelled against him and forced him to flee to the Isle of Funen. St. Canute - along with his brother and 17 companions - were martyred in the Church of St. Alban in 1086. Pope Paschal II canonized St. Canute in 1101. For a quick recap on the previous Masters of the Order, please click here. Stephen, who was born in c. 1250 in the Free Imperial City of Besançon, which was a self-governing city in the Holy Roman Empire from 1184 until 1654. 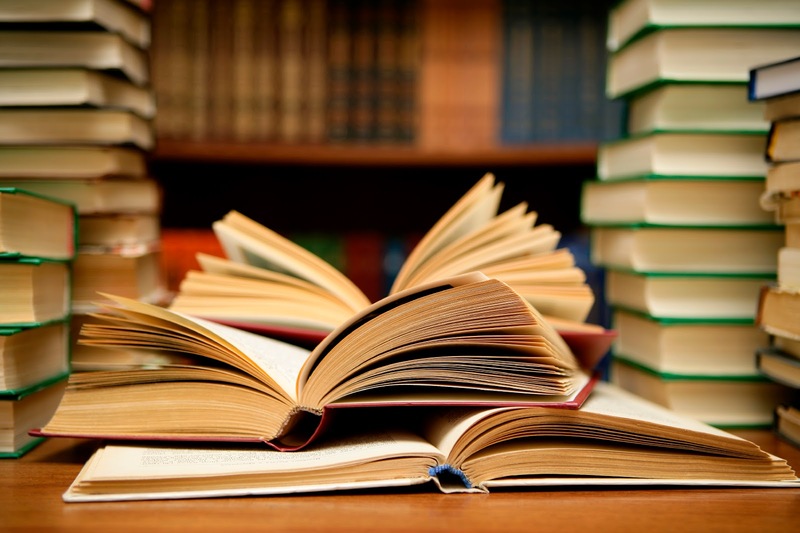 He began his studies in 1273. He graduated in 1286 with a Bachelor of Theology in Biblical Studies and two years later earned his Masters from the world renowned Theology program at the University of Paris. In 1291, Stephen was made a Prior Provincial of Northern France and then in 1292 he was elected as the Master General of the Order of Preachers. As the Order had slowly drifted from its original severity, he sought to restore that Order under his rule. On November 22, 1294, while on his way back to Rome for a canonical visitation of the priories of the Order, Stephen died in Lucca in Tuscany. May his soul rest in peace. Pater Noster. Ave Maria. Next in the continuing series of posts on the History of the Sovereign Pontiffs, after the death of Pope St. Zephyrinus on December 20, 217, St. Callistus I was elected as the Supreme Pontiff with his reign beginning on December 20th. He would reign for nearly 8 years until his martyrdom which occurred on October 14, 222. Interestingly, the best information we have that is historically verifiable on St. Callistus comes from one of his greatest enemies: St. Hippolytus. 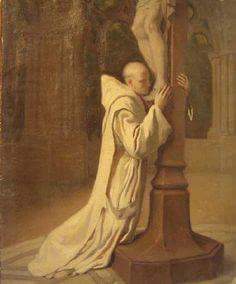 St. Hippoltyus was an early antipope of the Church who, after his conversion and repentance, would go on to die as a martyr for the True Faith. St. Callistus was a slave in the imperial Roman household. Put in charge of the bank by his master, he lost the money deposited, fled, and was caught. After serving time for a while, he was released to make some attempt to recover the money. Apparently he carried his zeal too far, being arrested for brawling in a Jewish synagogue. This time he was condemned to work in the mines of Sardinia. He was released through the influence of the emperor’s mistress and lived at Anzio. After winning his freedom, Callistus was made superintendent of the public Christian burial ground in Rome (still called the cemetery of Saint Callistus), probably the first land owned by the Church. The pope ordained him a deacon and made him his friend and adviser. He was elected pope by a majority vote of the clergy and laity of Rome, and thereafter was bitterly attacked by the losing candidate, Saint Hippolytus, who let himself be set up as the first antipope in the history of the Church. The schism lasted about 18 years. Hippolytus is venerated as a saint. He was banished during the persecution of 235 and was reconciled to the Church. He died from his sufferings in Sardinia. He attacked Callistus on two fronts—doctrine and discipline. Hippolytus seems to have exaggerated the distinction between Father and Son (almost making two gods) possibly because theological language had not yet been refined. He also accused Callistus of being too lenient, for reasons we may find surprising: 1) Callistus admitted to Holy Communion those who had already done public penance for murder, adultery, and fornication; 2) he held marriages between free women and slaves to be valid—contrary to Roman law; 3) he authorized the ordination of men who had been married two or three times; 4) he held that mortal sin was not a sufficient reason to depose a bishop; 5) he held to a policy of leniency toward those who had temporarily denied their faith during persecution. Callistus was martyred during a local disturbance in Trastevere, Rome, and is the first pope (except for Peter) to be commemorated as a martyr in the earliest martyrology of the Church. 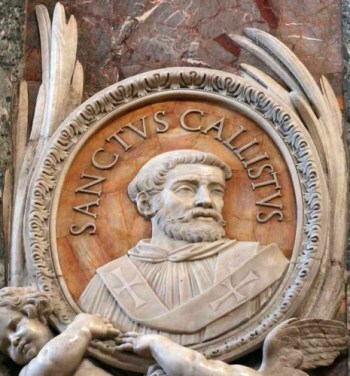 St. Callistus's decree that a marriage between a woman and a slave could be valid put the Holy Father in direct conflict with Roman civil law, but he stated that in matters concerning the Church and the Sacraments, Church law trumped civil law. He taught what the Church has taught for centuries, including today, and though a whole host of schismatics wrote against him, his crime seems to have been that he practiced pure, orthodox Christianity. While he was vigorously opposed to heresy, his charitable attitude toward repentant sinners incurred the wrath of contemporary rigorists. May St. Callistus pray for us in our world today that we have the courage to defend the unchanged teachings of the Church and the Faith even against enemies inside and outside of the Church. O God, You see that we fail because of our weakness. Be merciful to us and let the example of Your saints renew our love of You. Through our Lord . . .
"I am struck by the greatness of the ceremonies of the Church," said St. Teresa of Avila. If we inquire into the secret of this greatness, we perceive that it comes much less from the relief and magnitude given it by our human industries than from the very essence of the liturgy and its relation to two orders of Great magnitude: the cosmic grandeur of our created universe and the supernatural grandeur of the Kingdom of Heaven. 27,000 Christians died in terrorist attacks, the destruction of Christian villages, or by government persecution. Christians are now the most persecuted group in the world. May the souls of all of the Faithful departed, through the mercy of God, rest in peace. Pakistan had the most fatal attacks against Christians, “even more than Northern Nigeria,” the report noted. Mexico also saw a violent spike in the killings of 23 Christian leaders in 2016, including the abductions of several priests. The country has seen 15 priests killed since the election of current President Enrique Pena Nieto in 2012. For the 16th consecutive year, Communist dictatorship North Korea was determined to be the “worst place on earth for Christians,” Open Doors UK said. There are 300,000 Christians amidst the population of 25.4 million. Christians there suffer from a totalitarian police state that closely monitors their actions and requires them to worship the ruling family, the report said. They must pray privately. Those discovered by the state to be Christian may end up in harsh labor camps where an estimated 50-75,000 Christians currently suffer. All top 10 countries with the worst persecution of Christians are in Asia and Africa. Somalia ranks second on the list, followed by Afghanistan, Pakistan, the Sudan, Syria, Iraq, Iran, Yemen, and Eritrea. Somalia, ranked the second-worst country for persecution of Christians, “has persecution levels nearly as high as in North Korea,” Open Doors UK noted. “If a Christian is discovered in Somalia, they are unlikely to live to see another day,” Lisa Pearce stated. There are only hundreds of Christians in the country with a population of over 11 million. We evangelize most effectively when we present the timeless truth and beauty of Catholicism. As important as it is to teach others about the faith, even more importantly we must show them the faith. There is nothing more beautiful to behold, nothing more worthy of our time and participation, than the beautiful Catholic Mass. The [above] video features highlights from the First Mass of Thanksgiving for Father Jason Barone of the Diocese of Charlotte, North Carolina. Following his ordination in June 2012, Fr. Barone chose to offer a Solemn High Mass at the outset of his priestly ministry. Photographed by Brent Hohman and the team at Momentum Studio, this video remains to date one of the best visual presentations of a Traditional Latin Mass that I have ever seen. Now consider this: the average situation comedy on television today, minus commercials, runs approximately 22 minutes. The video below is only 18 minutes in length; time well spent. As many of the faithful still have little opportunity to see such a beautiful liturgy in person, videos such as this become even more important to share. This is our faith. This is our tradition. This is our beautiful Catholic Mass. Based on the reviews I have read, I encourage you to not support this film. The film represents a “struggle of faith” in which the priest must choose between the lives of his flock and his Faith. In the face of his trials, he finds God is silent to his entreaties, hence the film’s title. 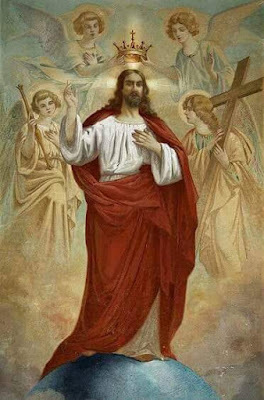 Finally, Christ Himself supposedly breaks the silence by interiorly telling the priest that he might outwardly deny the Faith by trampling upon His image to save his flock. Such a shallow story so contrary to all Church teaching would usually pose no threat to Catholics who are firm in their Faith. However, Hollywood has tragically assumed the role of a teaching authority to countless American Catholics. 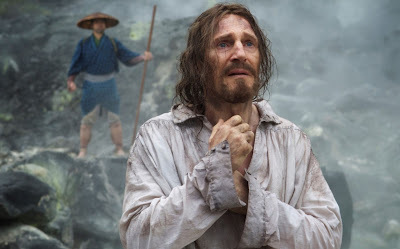 Thus, the principal lesson taught by the film—that outwardly denying the Faith can sometimes be justified and even desired by God—does pose a danger to the many uncatechized that might mistake Hollywood script for Scriptures. And that is why faithful Catholics cannot remain silent in the face of Scorcese’s “Silence.” Scorcese’s film is a tragic denial of God’s grace in a world in dire need of it. 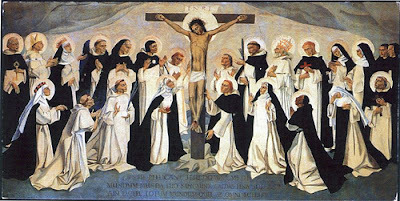 In these days when Catholics are being martyred, Catholics need to know that God is never silent. They will never be put in a situation where God betrays Himself. He will always be there when needed. The secular worldview is so narrow-minded and asphyxiating, but alas so prevalent. Today’s obsession with self permeates the culture to the exclusion of God. It is little wonder that so many would think there is “silence” on the other side of martyrdom. It is largely because they find emptiness in their own lives. They cannot imagine the action of God and His grace. Amid the frenetic intemperance of the times, the agitated crowds ironically do not seek out God where He is always found—in the silence of their own souls. The Association of Jesuit Colleges and Universities recently celebrated the fact that 56 members of the new 115th U.S. Congress (a full 10 percent) attended a Jesuit college or university. As boastful as the AJCU seems about this (it’s on the banner of their home page), I’m not sure a celebration is in order as among those legislators there are precious few who are reliably pro-life. I searched their voting records and found that out of the 12 Jesuit-educated Senators, there are only two reliably pro-life legislators. Two! The rest are either reliably pro-abortion or have mixed voting records. Out of the 44 congressmen who attended a Jesuit college or university there are only 12 reliably pro-life legislators while there are 32 legislators with pro-abortion or mixed records. Those who defend and promote the abhorrent evil of abortion are not deserving of praise for “leadership” nor of “service to others.” One would think that the rejection of fundamental Catholic teachings on the dignity of life by alumni might cause Jesuits to reconsider how they’re educating their students. Will Pope Francis Receive his Epiphany? A longing for God means a longing for the Ancient of Days who knows no change. True Catholics are content with God and seek no change, and consider it a great honor to continue in this usual fare of keeping his Commandments. Being led by the Spirit of God, they keep their eye on the Messiah without veering to the left or the right, being ever rooted in His Law. This is what we call fidelity. This sharply contrasts the mindset of the modernist, who is characterized by a restless need for change. In the same way adulterous spouses get antsy and run after new lovers, so these infidels develop itching ears and cast aside the true and lasting gold of Heaven, and run after the cheap desires of their heart. This is what we call temptation. On the Feast of the Epiphany, we reflected on the Three Wise Men who were privileged to come behold the new-born Messiah in the manger. They are called "wise" because they sought only God, and because of this God deigned to reward them by guiding them in a miraculous way to come behold the glory of the God made-man who had been the source of their peace all along. Now at the Mass in honor of the Epiphany that was celebrated at St. Peter's Basilica on January 6, Pope Francis said: "The Magi experienced longing; they were tired of the usual fare. They were all too familiar with, and weary of, the Herods of their own day." The Herods of our day are those who advocate adultery and who furiously lash out against the John the Baptists who censure their adultery and who refuse to grant their blessing thereto. The four cardinals who are in dubia of the pope's new policy of granting Communion to adulterers are certainly among the victims of today's Herodian persecution. 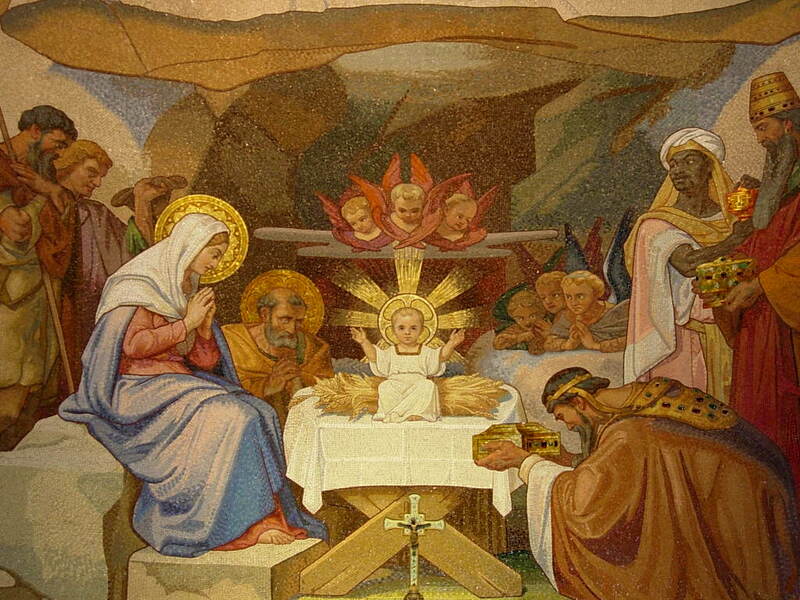 The pope continued his discourse on the Magi, saying, "Their hearts were open to the horizon.... They were guided by an inner restlessness, they were open to something new." 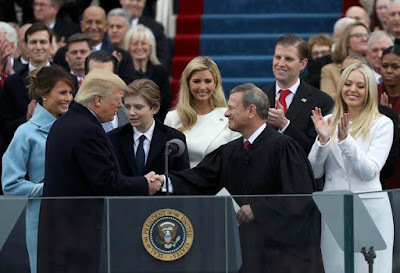 He hinted that rules and regulations are a form of "tyranny," and said, "Longing for God draws us out of our iron-clad isolation, which makes us think that nothing can change." The pope's homily is an indirect slap in the face to the saints of history who refused to change and who held tenaciously to the laws and traditions of Christ. But it's also an insult to the Magi themselves by saying that "they were guided by an inner restlessness" in quest of "something new." The implication is that the Magi were looking for change. Nay, the Magi were holy men who were established in the law and spirit of God, and who sought no change. Being established in peace, God found them worthy to be first-hand witnesses of the newly born Prince of Peace who had been the Author of their peace all along. These wise men were not "tired of the usual fare," but were earnestly in search of its source. Francis recounts how the Magi in their quest for the Christ Child were first led to "Herod's Palace," which being "iron-clad" and decked with all manner of "outward appearance and superiority," did not offer guiding light for the sojourners in their search, thus forcing them to move on. The implication is that expensive marble palaces that hold to "iron-clad" rules do not lead us to the sight of Christ. This calls to mind the thinking of Martin Luther, who alleged that the Catholic Church is a man-made "palace" bound by its own iron-clad "traditions and rules" and which offers no guiding light for mankind. Luther's definition of "repent" was to forever leave the Catholic Church and seek Christ in "freedom." Is it any wonder why Francis is now echoing the heretical anti-church mentality of Luther by prodding Catholics to leave Church tradition and flow with the change of our times? The pope himself recently said that "resistance" to change that "takes refuge in traditions" is of "the devil" Pope Francis says that ‘malicious resistance’ to his reforms that ‘takes refuge in traditions’ is from the devil Has Francis apostatized from the Faith? Let us pray that Pope Francis will receive his own Epiphany, wherein the light of holy tradition can permeate his heart and lead him back to the foot of the Cross, so that the Masses he says are not just empty pomp of a new order, but meaningful acts of reparation in acknowledgment of the fact that Christ today is being recrucified by his own Vatican hierarchy. Note: This is a guest post by a friend of mine, Jim Boardman. Jim is the author of "Finding Happiness: An Introduction to Morality" (Published in 2015) as well as "Ordained Before the World: A Catholic Apologetic" (Which was just published). Jim is a convert to the Faith and I helped serve as his editor for both of these books. They are well worth the read! Jim is a terrific writer. One afternoon when I was pastor at an Assembly of God Church, two women stopped to chat. I discovered that they were Mormons, and they had stopped to ask if I thought they were “saved.” I’m not sure if they had asked to “test” me somehow, or if they were asking sincerely; however, to this day, I think they were sincere. My Fundamentalist mind kicked in, and I immediately asked, “Have you accepted Jesus to be your personal savior?” And they both answered “yes.” “Then,” I answered, “you both are going to heaven.” We chatted for a bit more, and they went on their way. I would have given the same answer to anyone who asked, Catholic, Protestant, Evangelical, Mormon or Jehovah’s Witness. Now, many years later and a committed Traditional Catholic, I would say “Not so fast,” and would inquire a bit more deeply into whom they considered Jesus to be. Mormons have the strange belief that God the Father, like Jesus, was born and born again, once as a spirit, and again as a mortal man. Mormons believe that Jesus and Satan are created brothers and spiritual sons of God. Thereafter, as God formulated His plan of salvation, Satan proposed his own plan. Jesus, on the other hand, accepted God’s plan and offered to sacrifice himself as God’s Lamb and the spirit of Jesus was given a body through the Virgin Mary. Very confusing, and very non-Christian. Nor do Jehovah’s Witnesses believe that Jesus is God. They believe that he was a created man, the highest creation of God, but just a man. o He would be born in Bethlehem: Micah 5:2 - AND THOU, BETHLEHEM Ephrata, art a little one among the thousands of Juda: out of thee shall he come forth unto me that is to be the ruler in Israel: and his going forth is from the beginning, from the days of eternity. o He would be born of a virgin: Isaiah 7:14 - Therefore the Lord himself shall give you a sign. Behold a virgin shall conceive, and bear a son, and his name shall be called Emmanuel. o He would be crucified: Psalm 22:16-18 - My strength is dried up like a potsherd, and my tongue hath cleaved to my jaws: and thou hast brought me down into the dust of death. For many dogs have encompassed me: the council of the malignant hath besieged me. They have dug my hands and feet. They have numbered all my bones. And they have looked and stared upon me. They parted my garments amongst them; and upon my vesture they cast lots. o He would have spikes driven through each hand: Zachariah 13:6 - And they shall say to him: What are these wounds in the midst of thy hands? And he shall say: With these I was wounded in the house of them that loved me. o He would be betrayed for the price of thirty pieces silver: Zachariah 11:12 - And I said to them: If it be good in your eyes, bring hither my wages: and if not, be quiet. And they weighed for my wages thirty pieces of silver. The odds of one man fulfilling all five of these prophesies, given thousands of years before by men unknown to one another, is calculated to be 1 in 10,000,000,000,000,000, or 1 in 1015. 2. During his time on earth, Jesus performed hundreds, if not thousands of healing miracles – of the blind, of the deaf, and of the sick and dying. He restored the dead to life. Many of these miracles are recorded in the Gospels. And Saint John concludes his Gospel by stating, “But there are also many other things which Jesus did; which, if they were written every one, the world itself, I think, would not be able to contain the books that should be written.” John 21:25 No one else in history ever performed this many miracles (not Mohammed - not anyone). If Jesus was not God, He would seem to be a fraud as He performed more miracles than all of the prophets before Him COMBINED! But one in the council rising up, a Pharisee, named Gamaliel, a doctor of the law, respected by all the people, commanded the men to be put forth a little while. And he said to them: Ye men of Israel, take heed to yourselves what you intend to do, as touching these men. For before these days rose up Theodas, affirming himself to be somebody, to whom a number of men, about four hundred, joined themselves: who was slain; and all that believed him were scattered, and brought to nothing. After this man, rose up Judas of Galilee, in the days of the enrolling, and drew away the people after him: he also perished; and all, even as many as consented to him, were dispersed. And now, therefore, I say to you, refrain from these men, and let them alone; for if this council or this work be of men, it will come to nought; But if it be of God, you cannot overthrow it, lest perhaps you be found even to fight against God. And they consented to him. Today, there are more than 1.2 billion Catholic is the world. 5. Finally, Jesus himself claims to be God – John 14:6-10 - Jesus saith to him [Thomas]: I am the way, and the truth, and the life. No man cometh to the Father, but by me. If you had known me, you would without doubt have known my Father also: and from henceforth you shall know him, and you have seen him. Philip saith to him: Lord, shew us the Father, and it is enough for us. Jesus saith to him: Have I been so long a time with you; and have you not known me? Philip, he that seeth me seeth the Father also. How sayest thou, shew us the Father? Do you not believe, that I am in the Father, and the Father in me? The words that I speak to you, I speak not of myself. But the Father who abideth in me, he doth the works. Even atheists will tell you that Jesus was a great man, and had many good things to say. But this cannot be the only truth about Jesus: If Jesus were not God, then he had to be either delusional or completely insane. Many other reasons exist to believe that Jesus was who he claimed to be, but these five alone will give you much to ponder! As we begin the year 2017, let us pause to reflect on how monumental a year this will be. As I mentioned in my recent post on the New Year (An Appeal for the Heart that Conquered Death: Reflections for a Catholic New Year), this year is the 100th anniversary of the Blessed Mother's apparitions in Fatima, Portugal. The Blessed Virgin Mary warned us that unless we be converted and Russia be consecrated to Her Immaculate Heart, there would be future disaster. An unfortunately, the consecration was never done as Our Lady instructed it to be done. If you are not familiar with the story of Fatima, now is the time to read again an overview of Fatima. We must prepare for what may be a year of great disaster. We know firsthand that heresies are running rampant in the Church (see here for just some of the recent headlines), and under the leadership of Pope Francis, liberals continue to attack the sacredness of Holy Matrimony and Catholic dogmas that have been in place for over a thousand years. We are witnessing a great battle taking place in the Church. Let us pray each and everyday for the propagation of the Faith, the defense of the Church, and the salvation of souls. History often repeats itself. And as we begin this 17th year of this century, it is important that we understand the grave events that have taken place in the 17th year of the previous centuries. 1317 - Pope Constance V (First Avignon Pope): In his Constitutiae Clementiae, he dissolved the Templar Order and did away with their vast wealth. The Hospitalar Order was next on the list of King Phillip V of France. 1417 - Pope Martin V did away with all of the laws and restrictions effecting Jews. He had many Jewish Physicians. 1517 - The Protestant Reformation occurred and as a result, it brought untold destruction to souls that we are still seeing today. Vast numbers of churches, monasteries, and priories were destroyed. 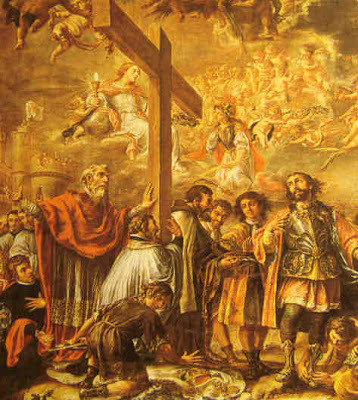 Many Catholics were martyred by the protestants and their errors continue to lead many souls to hell since there is no salvation outside of the Church (and yet many of us Catholics fail to evangelize to these souls that need to be saved from these heresies). May St. Fidelis of Sigmaringen pray for us! 1617 - The Protestants held their first jubilee celebration and the enrollment of the Socinians took place. The Socianism heresy is most famous for its nontrinitarian Christology but contains a number of other heretical beliefs as well. 1717 - The Grand Lodge of England and the resurgence of Freemasonry. 1817 - Congress of Vienna presided over by Rothschild. It started in 1814 and would most likely have been implemented in around this year. This would have lead to a type of European Union 100 years early. It was crushed by one of the few countries that didn't have a Rothschild Bank; Russia. Because of the actions of Tzar Alexander II, Meier is said to have vowed to wipe his seed from the earth. In 1917 his dynasty did just that! 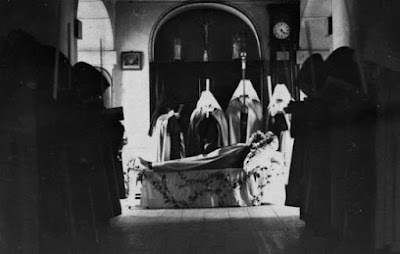 1917 - The Soviet Revolution takes place leading to millions of deaths and the enthronement of an atheistic government in Russia. This same year, the Blessed Virgin Mary comes to earth and appear in Fatima to warn us. Many of these events concern the triumph of the greatest enemies of the Church - freemasons, heretics, and atheists. While much more could be written on each of these items describing their enormous effects on the Church and souls, that is not the scope of this article. Please feel free to investigate any of these items more thoroughly. For example, concerning the events in 1817, you may want to check out "To Take Away the Opiate" by Dr. Rabbi Marvin Antelman. He writes extensively about Shabbatai Zvi, Jacob Frank, Adam Weishaupt and Meier Amchtel de Rothschild. Weishaupt, Frank and Rothschild were the architects to the European Revolutions including the Bolshevik Revolution which killed 36-40 million among of whom were 1.3 million Orthodox Jews. Dr. Antelman talks about this and who the identity of the revolutionaries were and who funded them. But alas, the point is that the 17th year of the century has been a year of great disaster, disorder, and error. Let us do all we can this year to make reparation (and thus fulfill the request of our Lady of Fatima who often asked for reparation). We should make reparation not only for our own sins but also those of our families and friends and even more so - of those souls in error who will not perform reparation. May Our Lady of Fatima, pray for us. And may the Lord have mercy on us this year and save us from our sins and His wrath! Here is the next installment in the books that I am selling. Please contact me at acatholiclife[at]gmail[dot]com if you are interested in any of these titles. All are hardcovers in good condition and sell for $18/each. All prices include shipping. As the world dives further into a century of “progress” and uncharted horizons, mankind continues its dissent from God, which is eerily reminiscent of the words of Jesus Christ: “What profit is there for one to gain the whole world and forfeit his life? What could one give in exchange for his life? Whoever is ashamed of me and of my words in this faithless and sinful generation, the Son of Man will be ashamed of when he comes in his Father's glory with the holy angels” (Mark 8:36-38). This dissent can be blamed in part on numerous evils afflicting our world from abortion to homosexual marriage to artificial contraception and to poverty. Yet, blame should not hold a central part in the debate on our world’s fate. We must never allow blame to become our primary mode of response to anything. Blame first surfaced in the Garden of Eden as Adam sought to shift the blame for his disobedience. Yet, the technicalities are of no importance – Adam suffered the same fate as Eve. Our world is above all suffering from a lack of love, and each one of us must fulfill our baptismal promises to love. In my personal observations, atheists lack two characteristics – humility and love for others. Catholics are called to love everyone even those that insult and attack ourselves. For Christ said the greatest of all the Commandments was to love the Lord our God and the second greatest to love our neighbor as yourself (Mark 12:30-31). While society may ignore the reality of this lack of love, we can blame no one except ourselves. We must be beacons of the Light of Christ. We must become mirrors of His love to “bring the Gentiles from darkness.” The Lord will judge each of us per our works (Romans 2:6), and unfortunately, society ignores the inevitably reality of Judgment. Of course we can ignore the spread of sin in society and seek shelter in darkness, but we can blame no one else when more people die from new and deadly viruses or when thousands starve to death in Western Africa. And, at Judgment we can blame no one except ourselves for refusing to accept Jesus as the Light of our life. The light is the true refuge of the world and the world must return to that refuge. First, we must individually return and pledge to love and honor Christ. Only after this first pledge can we go out into the wilderness and seek the lost sheep of the Kingdom of God. Each one of us can only grow closer to Jesus Christ through prayer and the Sacraments – the Sacraments of the Catholic Church. We all are obligated by our Baptism and Confirmation to go out and proclaim the Truth, but we must first grow interiorly. 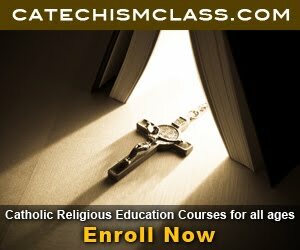 We must read Sacred Scripture, frequent the Sacraments of Holy Communion and Penance, and understand what the Church truly teaches on a matter, which does require extensive mental prayer, studying from approved Catholic sources, and personal penance. Without the Sacraments and finding the oasis of prayer in a desert of sin, we will wither up and die. We must all learn to balance our zealous urge to teach with a desire to learn from the one true teacher, the Lord. Most supreme of all Sacraments is the Most Holy Eucharist, the consecrated bread and wine from Mass, because It truly is Jesus Christ. The Eucharist is the Body, Blood, Soul, and Divinity of Jesus Christ. And since Jesus Christ, being the eternal Son of the Father, has the same soul and divinity as the Father and Holy Spirit, we can say that the Eucharist contains God completely. The Catechism of the Catholic Church calls the Eucharist “…the source and summit of the Christian life” (CCC 1324). As the Church progressed through the centuries, many divisions have separated the people of God. The Church fought heresies nearly as long as Christianity has existed. Against Gnosticism and Arianism, the Church has fought for hundreds of years and continues to fight. In 336 AD, Arius began to teach that Jesus Christ was not divine claiming He was inferior to the Father. Thus, Arianism became the first great heresy against the faith. Other heresies including Manichaeism had occurred before, but the impact of Arianism was far more widespread; it still seeps into modern culture. Through God’s providence, notable saints like St. Anthony of Padua and St. Boniface emerged to preserve the Church and the authentic teachings of Jesus Christ, including His Real Presence in the Holy Eucharist. After an extended period of differences, the Church broke into two bodies, Eastern Orthodoxy and Roman Catholic in the West. While this did not certainly occur in one year, 1024 AD is the officially recognized date of the Great Schism. By this action the people of God were first split. Following this in 1517, Martin Luther ripped open God’s Church. Through his 95th Thesis, many souls would leave the Catholic faith and the authentic Sacraments. Luther would teach justication through faith alone, encourage private interpretation of the Scriptures, deny the Mass, abolish Confession, and deny the Supremacy of the Pope. Lutheranism was condemned as a heresy in the Council of Trent between 1545 and 1563. But, Martin Luther also taught against the Most Holy Eucharist. 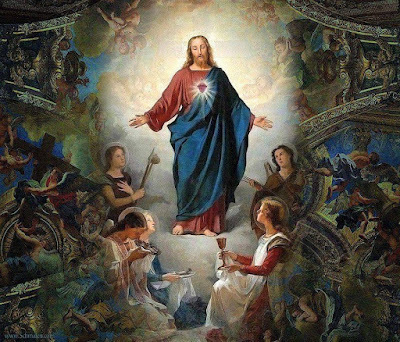 Catholics believe in transubstantiation meaning that at the words of Consecration, the bread and wine truly become Jesus Christ. After the words of Consecration, which Jesus gave us from Scripture (cf. Matthew 26:26-28), the only thing remaining of bread and wine is called the "accidents", which is the appearance of bread and wine. Lutherans believe in consubstantiation meaning that the Eucharist is both Christ and bread and wine. The Eucharist to Protestants is like a sponge that soaks up the divinity of Christ. After their service, they believe the bread and wine become bread and wine fully again. In Catholicism, the Eucharist becomes Christ at the moment of Consecration and remains Christ. However, theologically, the Communion bread and wine from any non-Catholic service can not be Jesus Christ. Catholics do not view Protestant Communion as legitimate. We realize that Jesus Christ gave the power to consecrate bread and wine to His disciples alone. He did not give them to everyone of His followers but a select few. This is clear at the Last Supper recorded in the Gospels. And, these men passed down the power to consecrate the bread and wine through the ordained priesthood. Through the imposition of hands, a man can be made a priest of Our Lord and can consecrate bread and wine. No protestant church has this power. Martin Luther was excommunicated from the Catholic faith and could no longer celebrate the Sacraments along with all other people that broke away. An excommunicated person is forbidden “… to have any ministerial part in the celebration of the Sacrifice of the Eucharist or in any other ceremonies of public worship; to celebrate the sacraments or sacramentals and to receive the sacraments; [and] to exercise any ecclesiastical offices, ministries, functions or acts of governance” (Canon 1331 of the Code of Canon Law 1983). The power of excommunication is a power given to the Apostles and their successors, the bishops. Excommunication is alluded to in Matthew 18:18. Consequently, the Sacraments of all Protestant denominations except baptism are considered illegitimate. Thankfully, the Roman Catholic Faith remains still bearing the essential four marks of the Church of Jesus Christ – It is One, Holy, Catholic, and Apostolic. These four marks are all qualities of His True Church on earth. If any denomination is lacking one of the marks, it is not the Church of Christ. This does not mean the denomination teaches complete lies; it means that it does not teach all of the truth. And we are called to the complete truth in Jesus Christ. The time for humanity to return to God and His laws is long past. 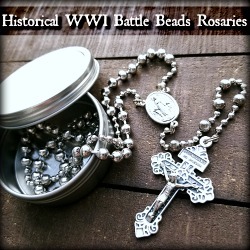 Our Lady of Fatima told three young shepherd children in 1917 that war was the result of sin. Namely, she said that if the world did not repent than a second great war would erupt. Sadly, the world did nothing. It is long past the time for action – we must act immediately. Yet, what is the appropriate cause of action? Our world is suffering from an array of calamities from natural disasters to deadly influenza strands such as the H5N1 Virus. 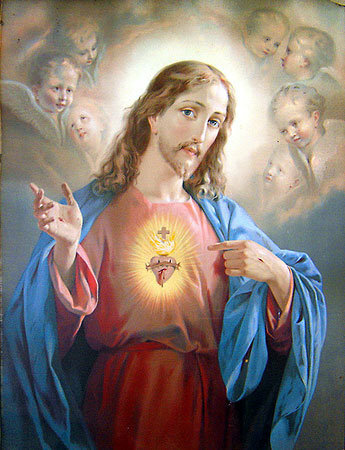 But the answer is simple – we must return to the Sacred Heart of Jesus. Only in the pierced Heart of Our Redeemer can the world find lasting peace. The Sacraments and prayer all converge on the Sacred Heart of Jesus. How truly ironic that the Heart encircled with thorns is the center of the entire world. The same event occurred after the Resurrection as the greatest tragedy would become the richest source of grace. 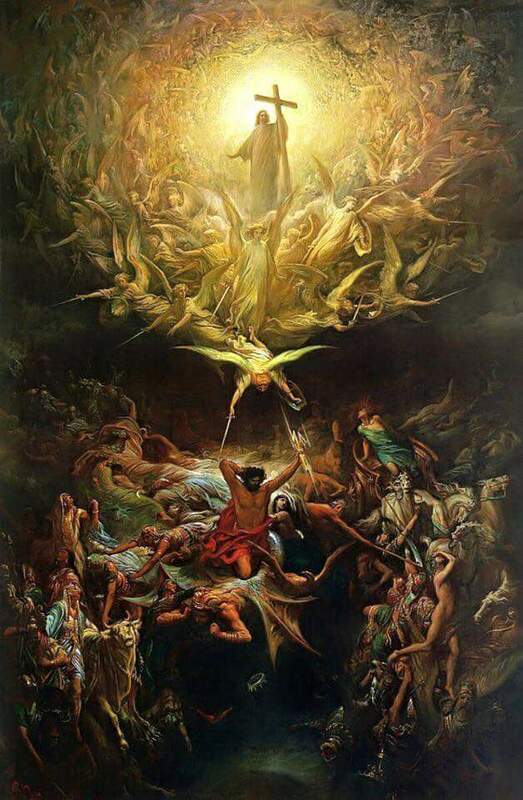 Jesus even said that after His death he would life up all men to himself: “And just as Moses lifted up the serpent in the desert, so must the Son of Man be lifted up, so that everyone who believes in him may have eternal life” (John 3:14-15). From the sacred side of Jesus on the Cross, the Church was born. And this grace continues to gush forth from the wounded heart of Christ to everyone in the entire world. And He is met with dwindling congregations, increased abortions, and violations of His most supreme Commandments. We should be grateful that our world is not yet destroyed by our own selfishness! Remember that God is Divine Mercy but He is also perfect justice. Our world must return to the Sacred Heart of Our Redeemer or plunge further into a dark chasm without the light of salvation. The read to Hell is wide and full of attractions and comfort but caves in to a never-ending chasm of despair. But, the road to Heaven is laden with rocks, and thorns, and many Crosses. However, it is only through the Cross that one can reach the royal road to the Resurrection. For us, that road has been blockaded and roped off by the temptations of the world. 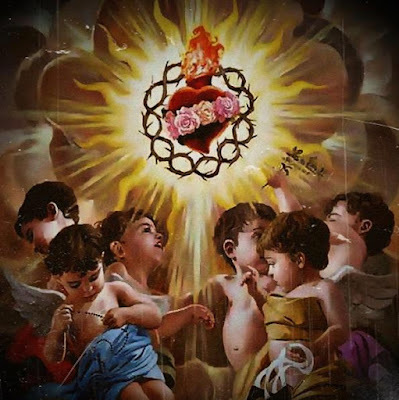 Between 1673 and 1675, Our Lord appeared to St. Margaret Mary Alacoque asking her to receive Him in Holy Communion on the first Friday of every month and to meditate on His passion from 11:00 PM to 12:00 midnight each Thursday. He also revealed to her twelve promises for all that are devoted to His Sacred Heart. This new year, let us resolve to observe each month the First Friday Devotions, the First Saturday Devotions, and devotion on the 13th day of each month from May through October in honor of the apparitions of Our Lady 100 years ago in Fatima. The first way is for "the faithful to make a pilgrimage to the Fatima Shrine in Portugal and participate in a celebration or prayer dedicated to the Virgin." In addition, the faithful must pray the Our Father, recite the Creed, and invoke the Mother of God. The second way applies to "the pious faithful who visit with devotion a statue of Our Lady of Fatima solemnly exposed for public veneration in any church, oratory or proper place during the days of the anniversary of the apparitions, the 13th of each months from May to October (2017), and there devoutly participate in some celebration or prayer in honor of the Virgin Mary." Regarding this second way, the rector of the Fatima Shrine told CNA that the visit to the statue of the Virgin, "does not necessarily have to be only at Fatima or exclusively in Portugal," but can be done anywhere in the world. 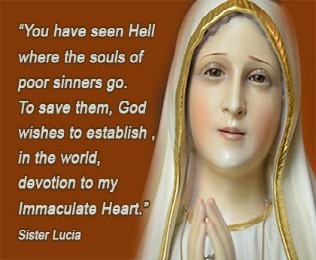 Those seeking an indulgence must also pray an Our Father, recite the Creed and invoke Our Lady of Fatima. The third way to obtain a plenary indulgence applies to people who, because of age, illness or other serious cause, are unable to get around. These individuals can pray in front of a statue of Our Lady of Fatima and most spiritually unite themselves to the jubilee celebrations on the days of the apparitions, the 13th of each month, between May and October 20017. They also must "offer to merciful God with confidence, through Mary, their prayers and sufferings or the sacrifices they make in their own lives." I write this as an earnest appeal for the new year for all to return to the Heart that won our salvation. With the recent failure of the blood of St. Januarius to liquefy as a sign, we must repent now as danger and disaster is imminent. Our Savior is being insulted, offended, and blasphemed each and everyday. We must repent and believe in the Gospel. The Sacred Heart of Jesus is the Immaculate Heart of Mary.